The efficient, compact design is also the reason that the valve is able to incorporate the gas accumulator power source within its housing. 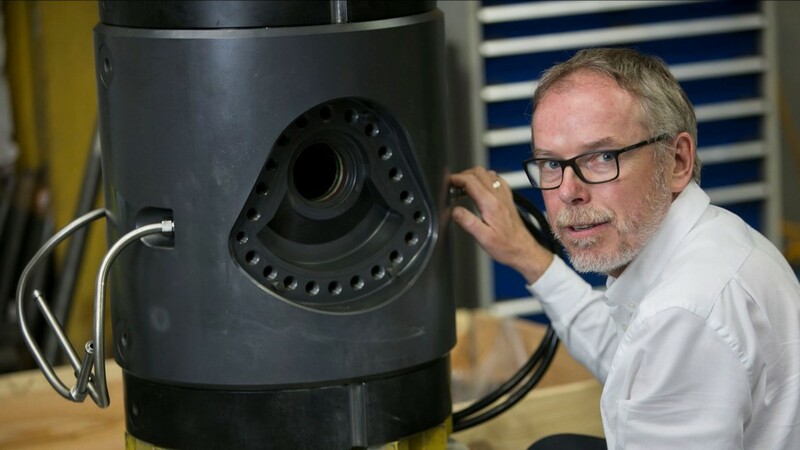 "Building on the success of our core valve technology we are very keen to push the design envelope further and deliver additional, enabling benefits to industry," Gavin Cowie, managing director explained. The increased closing speed, of less than one second, will improve safety, particularly during gas production, where the speed of closure and the integrity of the seal directly affects the volume of gas prevented from escaping. Traditional safety valves operate at much slower rates and mainly rely on hydraulic fluid with a power source located further away from the cutting and sealing mechanism, typically above the BOP shear rams, which take longer to activate.The compact nature of this valve is a major advantage, allowing it to be installed below the shear rams, even on small BOP's. This means the well can be contained by the Revolution Valve, without resorting to the shear rams, which are principally a last line of defence and much more difficult and costly to remediate after activation. The efficient, compact design is also the reason that the valve is able to incorporate the gas accumulator power source within its housing. "Building on the success of our core valve technology we are very keen to push the design envelope further and deliver additional, enabling benefits to industry," Gavin Cowie, managing director explained.He went on to say: "The speed of closure we have achieved with our PowerPlus valve is unprecedented and provides significant safety advantages. Incorporating the power source within the valve is only possible due to the original Revolution Valve design being extremely efficient, with the cutting and sealing mechanisms contained within a confined space. We believe this places our technology far ahead of the market in both performance and reliability, but also, due to our novel design, operators can take advantage of these benefits for around half the cost of other solutions." The first prototype 6⅜" 15,000psi working pressure, in-riser landing string Revolution PowerPlus model has already been developed and is currently undergoing cutting and sealing qualification tests. It uses resilient primary sealing rather than elastomer components which enables safe well intervention under more challenging conditions, for example large well bore, deep water or HPHT scenarios, and will be rated to cut coiled tubing, braided cable and slickline with an automatic, fail-safe close mechanism, operated via existing control systems.